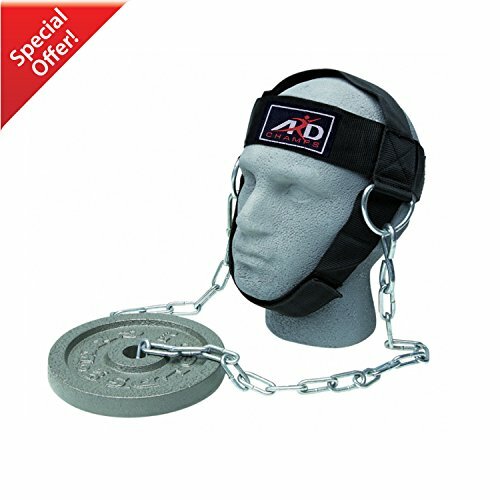 ARD head harness is often used by weightlifters, bodybuilders, and other athletes to strengthen and define the muscles of the neck. Typically made of leather or nylon, this piece of exercise equipment is used in conjunction with free weight plates and can weigh up to 175lbs. Routine use of a head harness can build muscle mass as well as strengthen neck, shoulder, and upper back muscles. Head harness is made of extra heavy duty material to lift heavy weights. 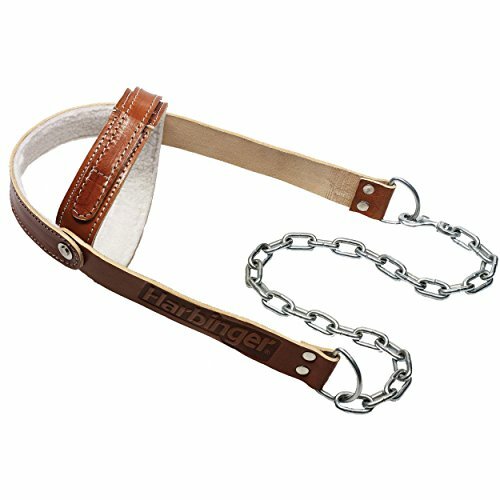 Head harness has adjustable strap which fits on your head. Extra wide padded inside for extra comfort. 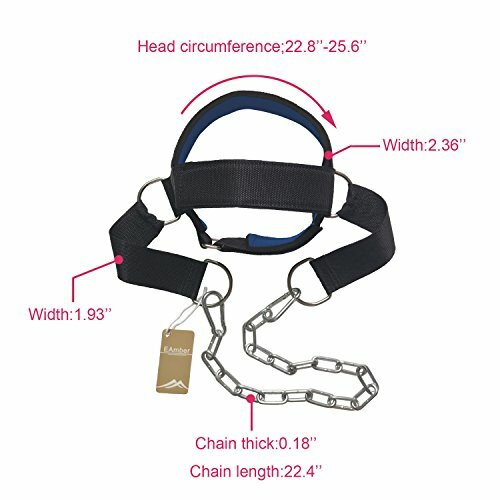 This neck harness has heavy duty steel chain which is adjustable with quick release buckle for adjusting the length of the loop. A head harness is often used by athletes to strengthen and define the muscles of the neck. Routine use of a head harness can build muscle mass as well as strengthen neck, shoulder, and upper back muscles. Athletes who regularly use head harnesses for neck strength include wrestlers, boxers, weightlifters, and body builders. 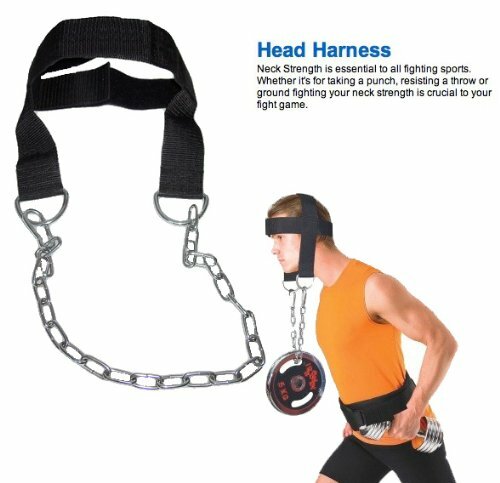 This is a Professional quality 2fit Your Fitness Partner Head Harness for Neck Strength Weight Lifting / Training. Neck strength is essential to all fighting sports, whether it's for taking a punch, resisting a throw or ground fighting, your neck strength is crucial to your fight game. Adjustable Head Harness Neck Slings are technically built to strengthen your neck & muscles and take them at a level where with other conventional harness one could only desire for. This one size fits all harness comes with ever stronger Velcro closure and can easily adjust to any head size in a flash. 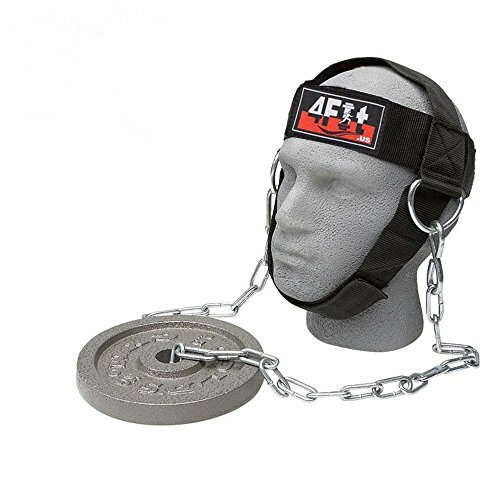 These professionally built head harness comes with ever stronger commercially recommended chromed steel 28 inches long Chains & D-Shackle which don't put you in the hassle of weight limit and are recommended for heaviest weight plates even. Recommended for Gym, Boxing, Wrestling or Rehab and suggested to use them with free weights or hook them to a high or low pulley on a machine. Effortlessly adjustable harness is recommended for any head size and one size fits all. Adjustable Head Harness Neck Slings are technically built to strengthen your neck & muscles and take them at a level where with other conventional harness one could only desire for. This one size fits all harness comes with ever stronger Velcro closure and can easily adjust to any head size in a flash. 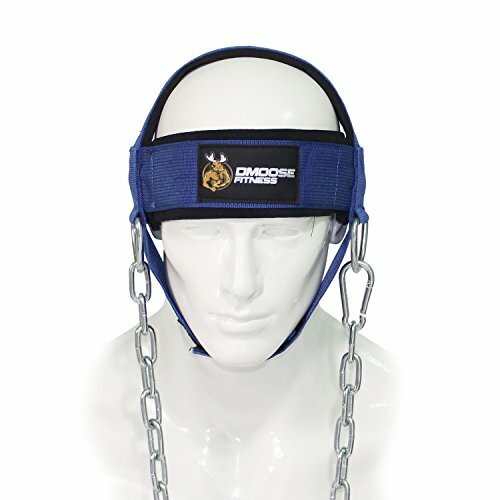 These professionally built head harness comes with ever stronger commercially recommended chromed steel 28 inches long Chains & D-Shackle which don't put you in the hassle of weight limit and are recommended for heaviest weight plates even. Recommended for Gym, Boxing, Wrestling or Rehab and suggested to use them with free weights or hook them to a high or low pulley on a machine. 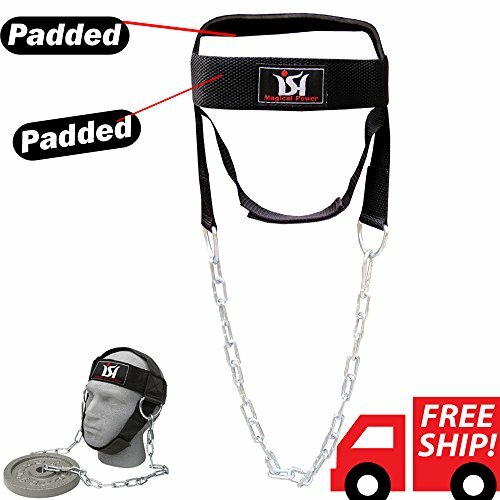 Looking for more Head Harness Neck similar ideas? Try to explore these searches: Heart Lock And Key Necklace, Electronic Control Module, and Mother Of Pearl Stone. Shopwion.com is the smartest way for comparison shopping: compare prices from most trusted leading online stores for best Head Harness Neck, Goddess Scarf, Agenda Day Planner, Head Harness Neck . 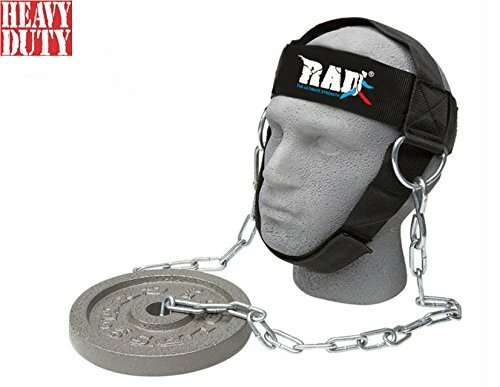 Don't miss this Head Harness Neck today, April 24, 2019 deals, updated daily.